There are at least 5 ways to take screenshots in Windows 10 without having to install a third party app. Including using built-in screenshot app Snipping Tool. In case none of those ways can fulfill your needs, there are a bunch of third party screenshot tools you can use on Windows 10. One of which is Lightshot. 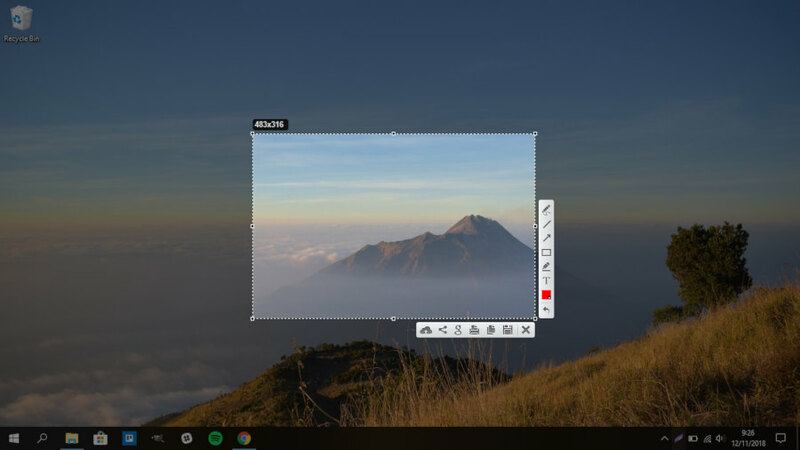 Lightshot is pretty simple yet powerful screenshot tool for Windows 10. Lightshot is particularly a great tool to work with your team remotely. It allows you to instantly upload the screenshot you took and share the URL to be accessed by your team members. The standout advantage of Lightshot is this app is extremely lightweight, just like its name. 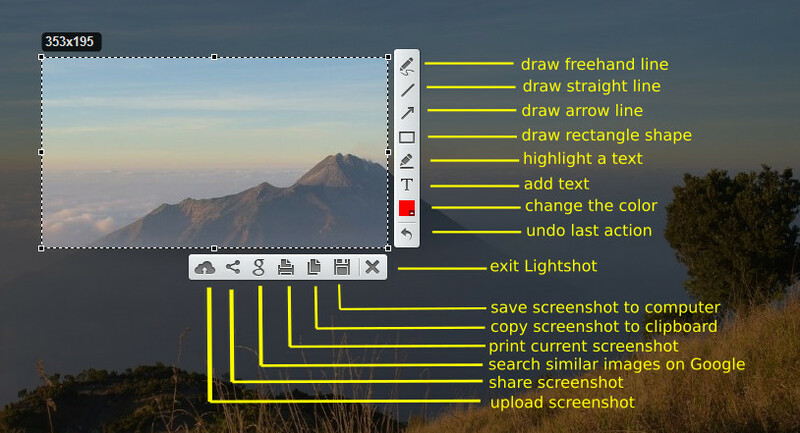 Lightshot is a free screenshot tool. In addition to Windows, it is also available for Mac. This tool works on nearly all Windows versions, including Windows 10. To install Lightshot on Windows 10, you can first download the binary file (EXE file) of this app on its official site. Simply double-click the binary file to install Lightshot on your Windows 10. Lightshot itself offers only a single mode. While other screenshot tools commonly allow you to capture the active window or entire screen, Lightshot requires you to select the screen area you want to capture yourself. It doesn’t offer neither an option to capture the active window nor option to capture the whole screen. To start using Lightshot on Windows 10, simply launch the app of Lightshot on your Windows 10. You should see a Lighshot icon on the system tray. Click the icon and your screen will turn into a bit dark. Lightshot will also turn the cursor into an area selector. To select the area you want to capture, click a start point and drag it according to the area you want to capture. Take a look at the screencast below. Once you have selected an area, a floating menu will appear to allow you perform further actions like adding an arrow line, adding a straight line, adding texts, highlighting certain area or drawing a rectangle shape. To save the screenshot on your computer, you can click the floppy disk icon beneath the selected area. Lightshot allows you to upload every screenshot you took. But first, you need to login before being able to do so. Lightshot allows you to login via either Facebook account or Google account. Uploading your screenshot can be a great option to work collaboratively with your teammates when you are not in the same room with them. You can upload the screenshots you took and allow your teammates to use them. The screenshots you uploaded will be saved to the Lightshot server and you can manage the uploaded screenshots in the gallery feature offered by Lightshot. To login to Lightshot, right-click the Lightshot icon on the system tray and select Sign In. A new tab will automatically open in your browser, asking you to login. Simply login with either your Facebook account or your Google account. 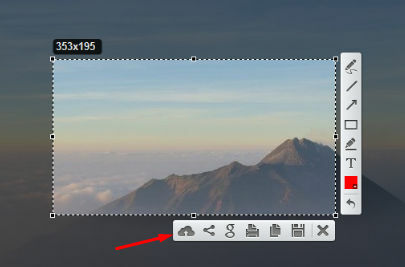 Once you have logged in, you can upload every screenshot you took by clicking the cloud icon beneath the selected area. One of the downsides of Lightshot is that it doesn’t offer delay feature. You will need this feature to capture certain actions. For instance, if you want to write a how-to article and want to add some screenshots on your article, it would be great if the screenshots demonstrate certain actions, say choosing an option on a menu. Although Lightshot doesn’t offer a delay feature, you can make use of a keyboard shortcut to capture certain actions using this tool. Simply perform the action you want to capture and press Fn+PrintScreen. Next, select the area around the action to capture it. Lightshot is a great screenshot tool you can you to replace the built-in screenshot tool on Windows 10, Snipping Tool. It is particularly a great screenshot tool to work collaboratively whereby you are allowed to upload the screenshot instantly and share it right away via direct link. In addition to Windows, you can also use this tool on Mac. Lightshot is extremely lightweight and free to use.